Dais Records is proud to unveil the first ever vinyl reissue collection from storied New Zealand post-punk outfit NOCTURNAL PROJECTIONS. “Complete Studio Recordings” comprises the band’s three original highly sought-after vinyl releases on one record—remastered. Formed in Stratford, near New Plymouth, New Zealand in 1981, Nocturnal Projections was the explosive project of legendary and prolific brothers GRAEME and PETER JEFFERIES (who would later form THIS KIND OF PUNISHMENT before launching their solo careers), who along with friends BRETT JONES and GORDON RUTHERFORD, created some of the most explosive, dark, and influential avant-garde punk rock to emerge from the country. 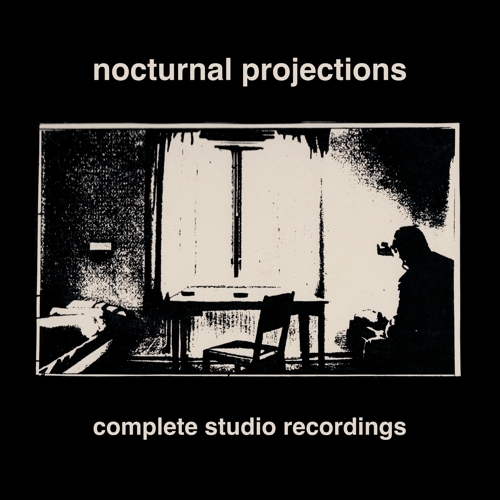 Complete Studio Recordings comprises the three original Nocturnal Projections studio records, direct to board recordings on a 24 track and not a synthesizer to be found! This release is a crucial part of New Zealand’s punk history, remastered and collected for existing fans and new audiences.